Statewide Environmental Services LLC is a dependable, full-service environmental company. We are residential oil tank specialists located in New Jersey and have performed hundreds of oil tank removals, oil tank abandonments and oil tank installations. You deserve a company dedicated to producing exceptional quality results. Our clients not only recommend us for our excellent work but also for our respect of them and their homes. Put your trust in a company that has stood the test of time. When it comes to oil tank installations, Statewide Environmental Services LLC has a superb reputation throughout New Jersey. Fuel oil tanks can be installed in the basement, the exterior of your home, or, if needed, underground. We offer all sizes and configurations of fuel tanks. Our installations are performed to the highest level of industry standards. 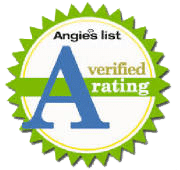 Statewide Environmental Services LLC is proud to be a certified Schutz double-walled oil tank installer, and we offer the most competitive prices around. Contact Statewide Environmental Services LLC to install your oil tank. Site remediation involves the removal and testing of pollutants or contaminants from the environment (soil, groundwater, sediment or surface water). Remediations help to change to control the spread of contamination and protect the environment. Statewide Environmental Services LLC can assist you with a remedial action plan, custom-tailored to fit your needs. It is important to catch a leak early. The longer you wait, the more extensive the damage becomes. As oil spreads throughout your property, it can spread to your neighbor’s property, leaving you liable and responsible to cover the cost of their remediation. Contact Statewide Environmental Services LLC regarding oil tank remediation. Removal of an oil tank is the best method to prevent any environmental hazards. To remove an oil tank, access holes are cut in the tank and then the inside is cleaned to remove all toxic substances. After the local building inspector and/or fire code official has approved the open excavation site, the oil tank is taken for disposal at an appropriate recycling facility. Statewide Environmental Services LLC uses only licensed and bonded oil haulers for waste removal. The oil tank grave is filled to grade with clean dirt from the excavation and other supplied inert material. Contact Statewide Environmental Services LLC for an easy, stress-free oil tank removal. In some cases, the location of an oil tank or potential oil tank is not known. In these cases, Statewide Environmental Services LLC will send a highly-trained technician who will utilize special inductive and conductive locators (sophisticated metal detectors) and probes to identify oil tanks buried underground or underneath driveways. These locators will pinpoint the outline of the oil tank’s structure and identify the area where soil should be tested, if requested or required. Locating potential oil tanks in your yard will go a long way toward improving the environmental health of your property. Contact Statewide Environmental Services LLC to inspect your site for hidden oil tanks. Statewide Environmental Services LLC performs complete soil testing in order to determine if there is any contamination present and, if so, the extent of the contamination. Soil samples will be taken by a technician at or around the present or former oil tank and submitted to a State-licensed lab for analysis. We offer a full line of testing services including soil, water, and vapors. We also have a full line of drilling services. A geo-probe drilling technique allows the continuous retrieval of soil samples from the surface to the total depth of the boring. Geo-probe points can be converted to temporary well points for water sampling. An air rotary drill rig is one of the largest mobile drill rigs and is used to drill deep wells. Contact Statewide Environmental Services LLC and get your property’s soil tested to make certain contamination and pollution is not detected. In some cases, removal of an old oil tank is not possible or not recommended. Oil tanks can be abandoned; however, specific regulations are recommended to avoid contamination. Simply leaving an oil tank in the ground without a plan is not an option. The tank must be properly cleaned and decommissioned. Improper abandonment not only is an environmental safety hazard but can cause issues when trying to sell your property. Regulations require oil tanks be completely free of oil and other contaminants. After the tank has been properly prepared for abandonment, a local inspector will thoroughly inspect the tank to confirm the abandonment has met the proper standards. If you have an oil tank that requires abandonment, Statewide Environmental Services LLC is the company New Jersey residents trust to get the job done right. Statewide Environmental Services LLC offers a multitude of oil tank & environmental services. From installation to remediation, we do it all. Contact Statewide Environmental Services LLC today to discuss your oil tank needs.